We have been selling Benjamin Moore Paint since we opened. 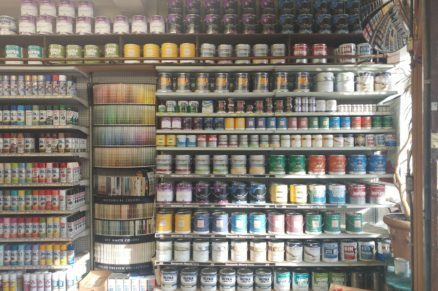 We are paint contractor friendly and home owner approved so please stop in and treat yourself to the best paint you can buy! We are also THE Spray Paint destination! We currently have 78 different colors, not including black & white. We also have an awesome selection of Metallic & Hammered finishes! We also have Plasti-Dip spray along with their many Metalizer finishes. There are many different door locks in our neck of the woods. 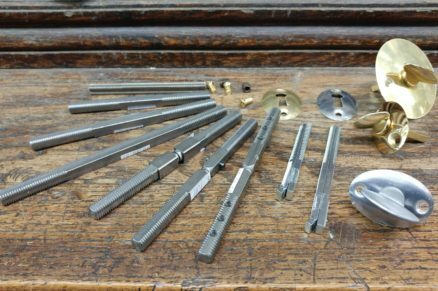 Locks from the early to mid 1900's require special parts to keep them operational. We try to get our hands on anything that may help someone get out of a jamb or from getting locked out. 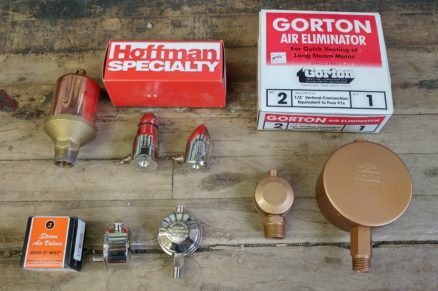 We are known for having many of the odd plumbing parts needed for the older homes and buildings in our neighborhood. If you need help with your old claw-foot bathtub or need pipe or tubing by the foot, we would be glad to assist you with your plumbing project. Let us save you the run-around, check with us first. 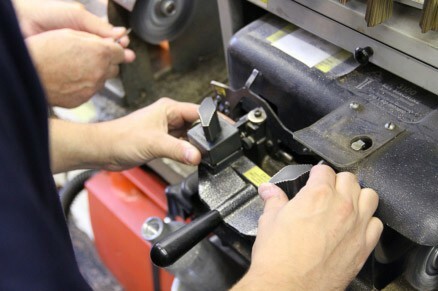 Cutting keys is one of our specialties. Customers come from far away to have their keys made by us because all of our keys are guaranteed to work and we have the most comprehensive key selection for our neighborhood. We also duplicate many of today's "Hi-Tech" auto keys. We repair windows and screens. 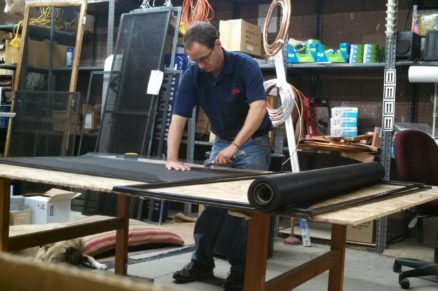 We replace glass and screening in wooden & aluminum frames. We also make aluminum storm windows & aluminum screen frames and can order you a brand new wooden frame if your old one is beyond repair. We have been told that we have the lowest prices in town for these services and we usually have these repairs back in your hands in a few days. LED light bulbs are changing the way we light our homes and offices. We are adding more and more LED as demand increases. LED technology will save you money as well as save your back; you won't have to get out that heavy ladder to change burnt out bulbs each year. Do you have an odd bulb that you can't find? 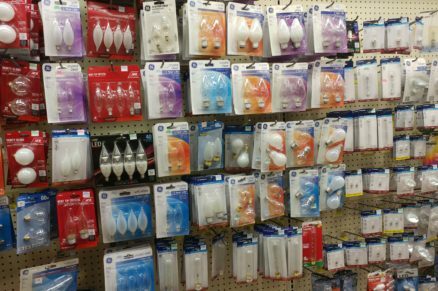 Ask us, we may have it because we will always stock specialty incandescent and halogen bulbs. 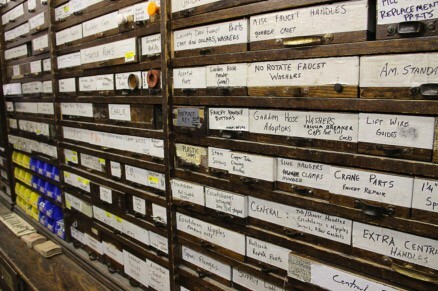 If you haven't been to our store and want to see what an old-time hardware store looks like, here's a glimpse. Come in and see our hardwood floors and our original tin ceiling. We'll also show you some good old fashioned customer service. Please check us out soon. Thank you for visiting the Heights Hardware website. I am honored to be part of such a great institution that has survived the Great Depression, two World Wars and most recently the Housing Crisis. Doing so has made Heights Hardware the oldest business and last remaining independent hardware store in Cleveland Heights, Ohio. I like to think our longevity is partly due to our ability to please our customers by having what people need. We know our neighborhood well, and our inventory proves it. Open Since 1911, Heights Hardware has helped customers maintain their homes and buildings in Cleveland Heights, Shaker Heights, University Heights, Cleveland, and East Cleveland. Some of our regular customers, and employees, have been walking the old wooden floors of Heights Hardware for over 30 years. Heights Hardware has been a Benjamin Moore Paint dealer since opening in 1911. My father, Thomas Gathy, purchased Heights Hardware in 1979 and shortly after made the decision to join Ace Hardware. Belonging to the Ace Hardware family helps keep our prices low and gives us a greater selection of products. I am very proud when customers tell me that “you always have what I need,” or if I overhear the mention of great prices. We like to have fun at Heights Hardware so please check us out. We are an “old fashioned” nut and bolts hardware store with all of the products, services, and knowledge to help you complete any project. No project is too big or too small for Heights Hardware, whether you’re painting your whole home with our premium Benjamin Moore Paints or if you just need one bolt, we will be there to assist you all the same.